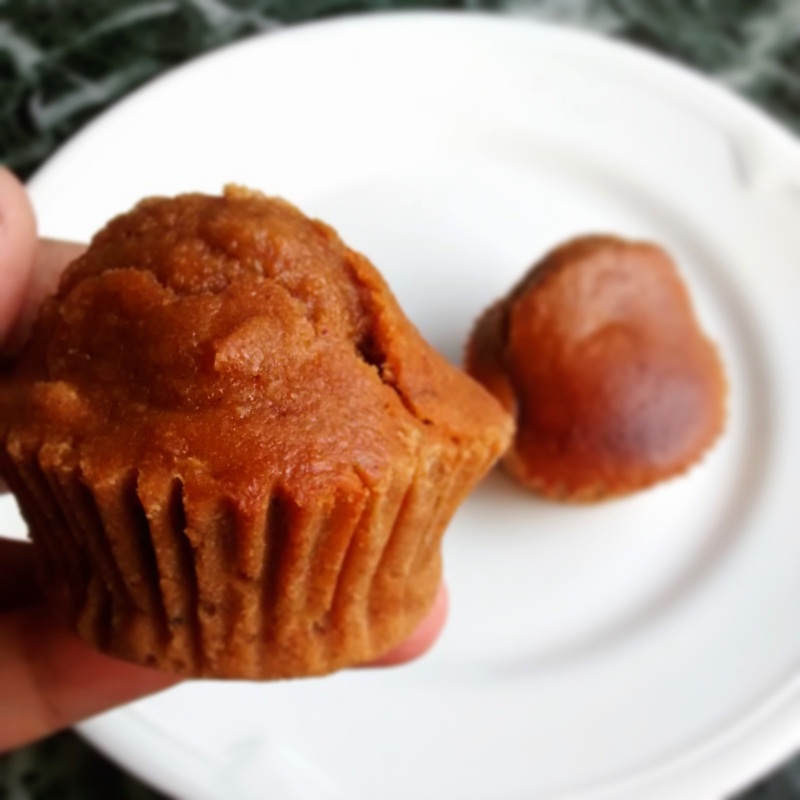 Caramel Wings: Recipe: Gluten Free Sugarless Muffins! Recipe: Gluten Free Sugarless Muffins! Ever since I've made this switch to leading a fit lifestyle, I spend a little time every day researching recipes online on how to use ingredients more effectively. Just while browsing, the other day, I found this recipe and I decided to give it a try. It tastes quite amazing, and makes for a great pre or post workout snack. 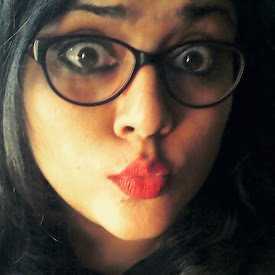 These little babies are super light yet keep you full for a considerable amount of time. 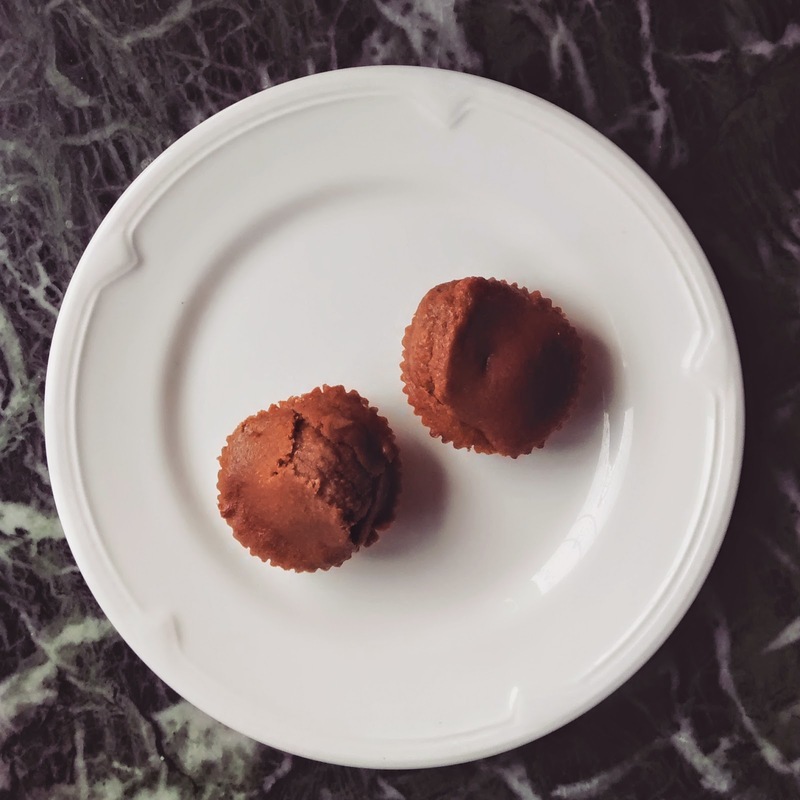 Each muffin is a mere 95 calories, and you can make it better by smearing a spoonful of Nutella over it if you really feel like taking it to the next level. I have to admit, these are not the best looking, best textured muffins you may have had, but they are a SLITE change that go a long, long way! These do not keep very well, due to the Bananas. But for all you know, they're gonna be over in no time anyway! Mix the Oat Flour, Baking Powder, Baking Soda, Cinnamon, All Spice, Whey, Tata Salt Lite and Walnuts in a mixing bowl. Mix the Bananas, Greek Yogurt, Honey, Date Syrup, Egg Whites and Vanilla. I used a blender for this. Add the wet ingredients to the dry and mix to incorporate. Spoon into 12 Muffin Moulds. Bake for 10-11 minutes! Enjoy the guilt free indulgence!